Lulu just loves shoes - but can you guess which are her favourites? 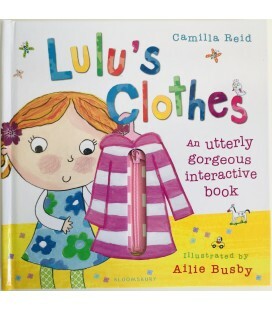 With a Velcro strap to fasten and real laces to tie, this delightful book is perfect for shoe-obsessed toddlers! Lulu´s learning to use the loo and has lots of fun along the way. 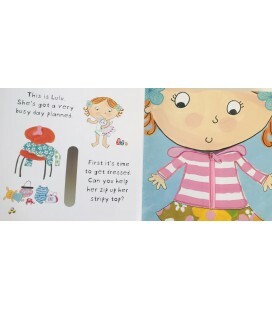 With a nappy to fasten and a loo seat to lift, this very practical book will encourage little potty-trainers everywhere! 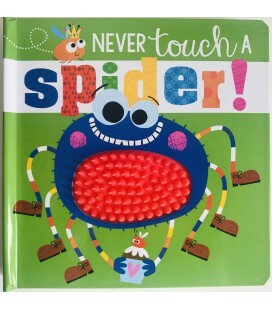 NEVER TOUCH - A SPIDER! 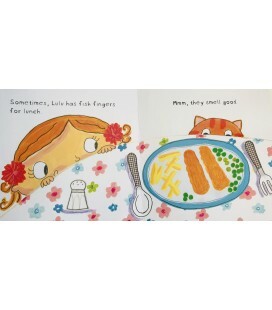 Lulu eats lots of tasty food and even helps with the cooking...but can you guess what her favourite meal is? 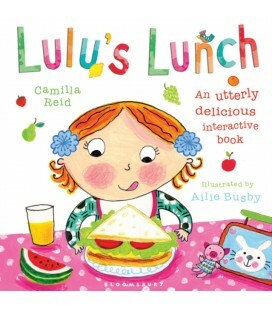 With a banana to peel, sticky honey to touch and a picnic hamper to discover, even the fussiest of eaters will enjoy this scrumptious book! The frogs are diving, splashing and having lots of fun. Join them by feeling their soft heads and counting down from five as they disappear, one by one. An adorable book, perfect for reading together. Old MacDonald had a farm. E-I-E-I-O. But on this farm, pigs FLY, sheep WATER-SKI and cows RACE CARS! 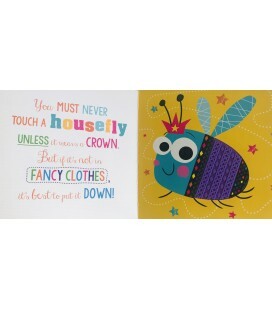 Join the animals in this funny retelling of the popular rhyme, perfect to share at story time or playtime!